Before it´s time to go. The village clock had just struck four and Sir Winston was already awake. A dim, early morning light shone through the skylight of the cellar and Sir Winston could just make out the dark figure of Mr Midnight curled up in his basket next to him. It had stopped raining and the air smelt clean and fresh, somehow charged with new life – and that was one of the reasons for Sir Winstons sleeping dilemma – the smell of what he thought, “New Life”. He loved this time of year; when the autumn leaves were falling from the trees – aah, all the fun they´d had recently when playing in those things. The light had also changed. Somehow, a magical, intensive cool, clearness swept the air and hues of gold and red contrasted against deep blue skies – apart from when being covered in a blanket of dreary grey. 🙂 They both hated fog because it played havoc with their fur. Sir Winston had heard that dreary Victorian slate grey skies were quite typical from the place where daddy was born and raised. Most of Sir Winstons other playmates had now disappeared. Where were the buzzing things? He loved to watch the erratic flight paths of the buzzing things. Even Mr Squirrel was now unavailable, what with him busy sorting and storing his Winter rations. A pity he couldn´t find his stored edibles half the time, Sir Winston thought. Yes, it was a special time of year – a time for recollection and a time for his kingdom to find rest and fall into a deep, winters sleep. Winter was breathing at the door. Mr Midnight. Are you awake? I asked if you were awake yet. What´s up? Is it breakfast time already? I´ve been thinking and I want to tell you something Mr Midnight. Well I´m all ears (and fur). Anyway, you stirred me out of a horrific dream. There was this large bowl with a big dollop of cream floating in some cat-milk. The bowl kept hovering infront of me and everytime I stuck my tongue out to lick it, the bowl got larger – but I couldn´t taste anything. Terrible nightmare. Very frustrating. I didn´t wish to disturb you but I´ve been doing some serious thinking. I just want to thank you Mr Midnight, for being my friend and to tell you that I LOVE YOU. That´s a bit out of the blue isn´t it? I know you love me, I love you too, so why the sudden urge to tell me? It´s important that you hear it from my lips. We´ve had so much fun together, indeed we´re quite a team, and I just wanted you to know that in spite of our differences in the past, I`m truly proud that I have such a sincere friend by my side. One day, I may not be able to tell you myself and I know I would regret that. The feelings mutual Sir Winston. I LOVE YOU too. Whatever happens to us – we will always know that we were once, a great team. Thank you for telling me Sir Winston – it means a lot to me. When it´s time for us to go, we will now be able to go in peace. Oh yes. I wanted to make my peace before my sweet release. You´re right. It´s so important to tell those around us how much we love them because if left unattended, when it´s time to go, there´s no time left to say those precious words. That´s really quite terrible. No time to say sorry. No time to mend the hearts we may have broken. No time for one last kiss. Will we be alone or with a friend? – we´ll never know because we´ll never hear lifes music end. The future is not ours so we should live for the minute because the moment is where life happens. I hope that my life has been bright colours and stars and that although there may have been some sadness, on the whole, my life was full of many magical hours. When my time is over I want to believe that I´ve given something special to the world and will be remembered as the cat who gave much pleasure. So, before the angels come to collect us and we take our inevitable journey, lets live our lives in the moment and make peace with our world. The journey that continues after this life will then, be that much easier. He loves flicking the balls back and forth and because his “play-area” is obviously not large enough, he often loses most of them underneath the furniture. He was having one of those moments again. Hey, Mr Midnight, try and stop this if you can! Sir Winston flicked his left paw and the “Seramis” ball sped towards Mr Midnight. Not a bad shot Sir Winston. You´re nearly as good as the English football team. You should aim to be more like the German football team though – the Germans usually win at football. 🙂 Next time, try and line it up better. I wouldn´t have to stretch myself so much if you managed to occasionally, shoot on target. I nearly did myself an injury just then. It´s only a bit of fun Mr Midnight. You don´t have to do acrobatics all the time. Just let the thing roll where it wants to and flick it back to me. By the way, you know that I don´t like football – I´m more of a rugby cat than a football cat. I´ve already noticed Sir Winston. That´s why your “shots” usually curve in the wrong direction! Well I enjoy it. It´s a pity I can´t find half of them again afterwards though. I think daddy removes them with that noisy, sucking machine. You know, the thing which supposedly, cleans our house. I´m not too keen on that machine thingy either Sir Winston. Most of the time it makes my fur stand up on end. It gives me the creeps. Come on. let´s have one last try. See if you can get a paw on this! I will if you shoot properly! Sir Winston lined the Seramis ball up as best he could and with a swift, flick of the right paw, he shot the ball with all of his expertise. The ball didn´t go any where near Mr Midnight. Instead, it veered sharply to the left and rolled under the heavy, lime green sofa. What are you playing at? I´m getting hungry. I haven´t got all day you know – there´s other things to do; such as eating, having a wash and getting some shut-eye. I missed. I tried to put some back-spin on it and the thing just shot off at a completely different trajectory than I was hoping for. I can see that. Now go and get it and lets have enough of this nonsense. Who´s ever heard of a cat playing about with “Seramis”? If this ever gets out, it could ruin my reputation. Mr Midnight eventually joined Sir Winston who was helplessly, still trying to get the ball out from under the sofa. I think it´s a gonna. It´s an infurrriating little game Sir Winston. If we lose anymore balls, daddy´s going to crown us – and I don´t mean he´s going to worship us like the ancient Egyptians used to. I can´t get my paw behind it. It´s rolled too far. Well you “put” it there, so you can get it out. Sir Winston spent ages trying to get his ball out from under the sofa. After having used all avenues of possibility open to him (viewing from every angle; using one paw, then both paws; using part of a leaf as leverage) he finally gave up. It´s no good, I´ve had it. It won´t budge a wink. 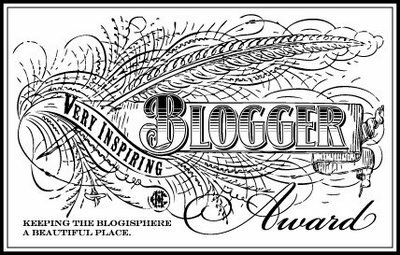 In fact, I can´t even get to the bloomin thing, never mind budge it. As long as the people round here don´t start eating us cats! Never mind your stomach Mr Midnight, you can look after your tummy later. What am I suppossed to do about the “ball”? I feel like giving up. It´s too hard. If things were always easy, life wouldn´t be much fun now would it Sir Winston. Don´t give up. There must be a solution. I think you need more purrrsevereance. You know, that stuff which keeps you going in adverse circumstances and hopefully, in a cheery counternance if possible. I´ve heard about that stuff. It´s not really one of my strong points. Come on Sir Winston. Where´s all your ambition, your determination and strength of resolve? Now let me tell you something for a change. Ah ha; you mean Per ardua ad astra, as is written in Latin. I´m not so sure about that Sir Winston, what with Latin not being one of my strong points. The purrr bit of purrr ardua ad astra sounds quite comforting though. Sir Winston was now positively motivated by Mr Midnights wise words. Thanks for the advice Mr Midnight. I´ll have another go. Again, Sir Winston spent ages trying to fathom out how to get the ball out from under the sofa. He stretched as far as he could; he used all four paws as best he could – and he was still unable to get to it. I´m not getting anywhere. What a stupid ball. Why do they make them so that they roll so easily. It´s all a waste of time. Sir Winston was now starting to show signs of frustration and in an annoyed manner, he pulled himself out from underneath the sofa and swung himself quickly round so as to face Mr Midnight who sat opposite. With wide eyes of bewildement, they both watched the ball roll out from underneath the sofa, as if by magic. Thank goodness for that. I don´t know how you worked it out but as you can see – determination and purrrseverance work wonders. I knew I could count on you and you´d get there in the end. In such situations I often think of the line which daddy told me he had “drilled into him” when at school. Sir Winston was rather astonished because he knew he hadn´t done anything. He hadn´t worked it out. He wasn´t going to tell Mr Midnight though. He thought “let him believe I mastered it. He´s starting to get too big for his shoes – although he doesn´t wear any shoes”. Because Sir Winston had swiftly turned to face Mr Midnight, his tail had managed to sweep the ball in full swing, clearly hitting the ball outwards from underneath the sofa. He knew that he had had a lot of luck but he had also learnt to not give up so easily in the future. Well done Sir Winston. You really are a superstar. Now lets get some grub inside us. I´m famished. My goodness daddy, just look at these two! I believe the numbers on the little tab suggest that they are very valuable. What hap! A great stroke of luck! Let me look at what you´ve found Sir Winston. Ah yes. 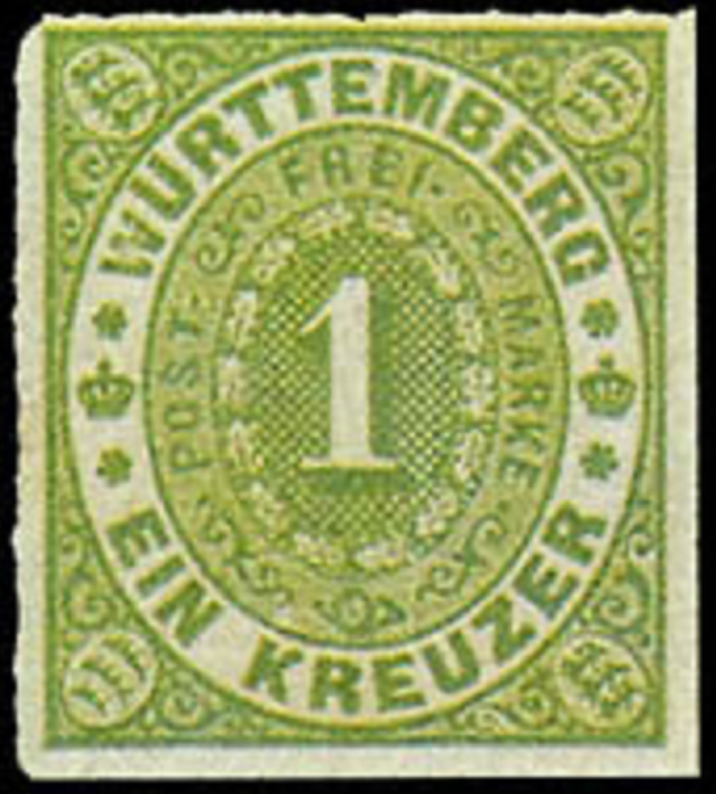 The stamp from Neapel from 1860. Mr Midnight was downstairs taking a nap and was suddenly aroused by the commotion coming from the upstairs study. Allowing his inquisitiveness to take hold, he raised himself, stretched and bolted upstairs to investigate what was happening. What´s all this racket? I was trying to get 40 winks and heard someone mention getting stroked. I´ve found two valuable postage stamps among daddy´s philatelic objects Mr Midnight, and I just said how it was a stroke of luck. You once told me that this “Phil” fellow was a bloke who enjoyed scrutinizing old pieces of paper with numbers and pictures upon them. Sounds like a right bunch of laughs if you ask me. Sir Winston was very excited because he noticed that the catalogue price tag was very high. Does that mean that we can now afford to buy lots of food sticks and you can avoid purchasing those red and yellow tins of cat-food? I´m sorry Mr Midnight, no it doesn´t. Sir Winston digged out the two Neapel stamps (catalogued number 8) which are from 1860, and he seemed to have got overwhelmed by things. Catalogued? What do cats have to do with pieces of old paper? The word “catalogued” sounds dangerous to my ears. It´s just a funny english word Mr Midnight and means that a thing has been systematically listed. Humans love doing things like that. The word has nothing to do with cats. 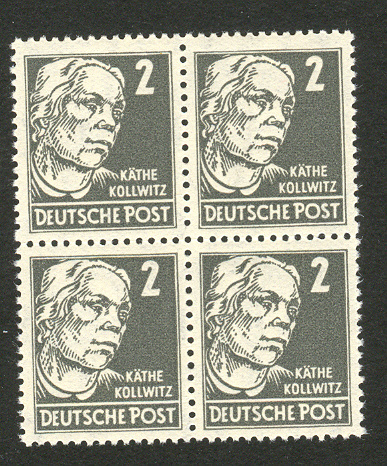 It´s a shame, but if the stamps were real, they would each have a catalogue value of 12000 Euros. Unfortunately, I find it hard to believe that the stamps are real. Why not? It would be nice to have some extra paper with numbers on them with which to purchase more provisions. I believe that they are not genuine simply because I find them to be too perfect. I would have to have them expertised if I wanted to know if they were genuine or not. Expertised? What does that mean. It means that somebody with expert, professional know-how, would have to take a look at them and hopefully, issue me a certificate proving that they were genuine. I would then be able to sell them at an auction if I so wished. But why do some people go too such great lengths to produce an item which is not real and has no proper value? Isn´t that what english speaking humans call deception or is the production of such things a hobby or something? You´re both losing me again. Deception? As for hobbies, cats don´t need such activities. Hobbies are reserved for humans who have spare time to kill. I think I´m going back downstairs. If there´s nothing to be gained out of this strange conversation then I think I´ll leave you both for the time being. See you later guys. Poor Mr Midnight. He´s always thinking about his stomach. Anyway, where were we? Ah yes, deception. This deception thing seems to be a strong characteristic of human behaviour. Most human beings will obviously, not lower themselves to such activities, but there seems to be quite a few who are willing to go through life with such a mentality. It´s possibly part and parcel of normal human development. There will always be some who are willing to decieve others and at the same time, not have a bad conscience about their actions. But are they not aware of one of the most important “rules of life”? You mean; what we do to others, comes back to us? I hardly think so. From my observations, many still do not understand that goodness attracts goodness, as does the reverse. The problem seems to be that the words are not “felt” by the individual, but simpy read as words. If one did understand this very basic rule, I believe that our planet would stand a chance of discovering genuine empathy, thus making the path free for real peace on earth. 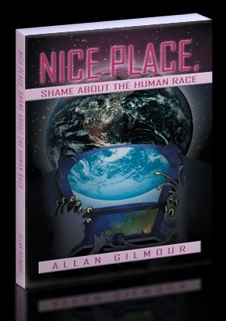 You humans do seem to have the knack of being unable to live in peace. I also believe that it is important to discover who we really are and what OUR truth may be. Most present day modern humans seem to either simply take for granted what past generations thought or blindly believe in what modern society believes to be “known” as the truth. Modern societies beliefs are not necessarily the “real truth” but are simply the thoughts of what others believe, or believed, to be the truth. Ideas, thoughts and beliefs are often copied without much of the individuals own thoughts being put to use in the process. So you´re implying that humans have a great tendency to copy one another with many of them, not using their own heads to discover what their own truth may be? I suppose I am SIr WInston. If we´re not aware of who we really are then how are we to know what is true, and what is false? Humans tend to place too much emphasis upon experiences and the knowledge of past generations in which to “master” present day life. Naturally, one does not have to throw past knowledge and rituals “over-board”, but relying upon “past-performance” as a scale for “present-day activities” puts pressure on our present social systems. In my opinion, that is why the “civilised”, modern world is crumbling all around us. In a certain way, one could pronounce that the modern human being has a tendency to often live life as a fake (convieniently prefering to avoid reality and their own true, real identity) because of unconsciously, living the life of somebody who perhaps, they are not. If what I say has any basis for truth, one could declare that a person not living in accordance to their “genuine-self” would be living a fake life – at least as regards themselves. On the other hand, the actions and behaviour of modern society is possibly “normal procedure” for the human race in which case, we are all on the right path. It´s just a pity we have to destroy so much in the process. Am I starting to lose you Sir Winston? Some of what I say must sound like gibberish. Thank goodness Mr Midnights not around. I´m just about coping daddy. It´s no wonder many of you are suffering. Faking, being untrue to oneself, avoiding your surroundings and at the same time, placing little value upon being genuine; all this seems to be a mentality, typical for modern humans. But why take it out on poor postage stamps? They are such pretty things. Probably because some humans believe that they can get away with their actions and make fast money. 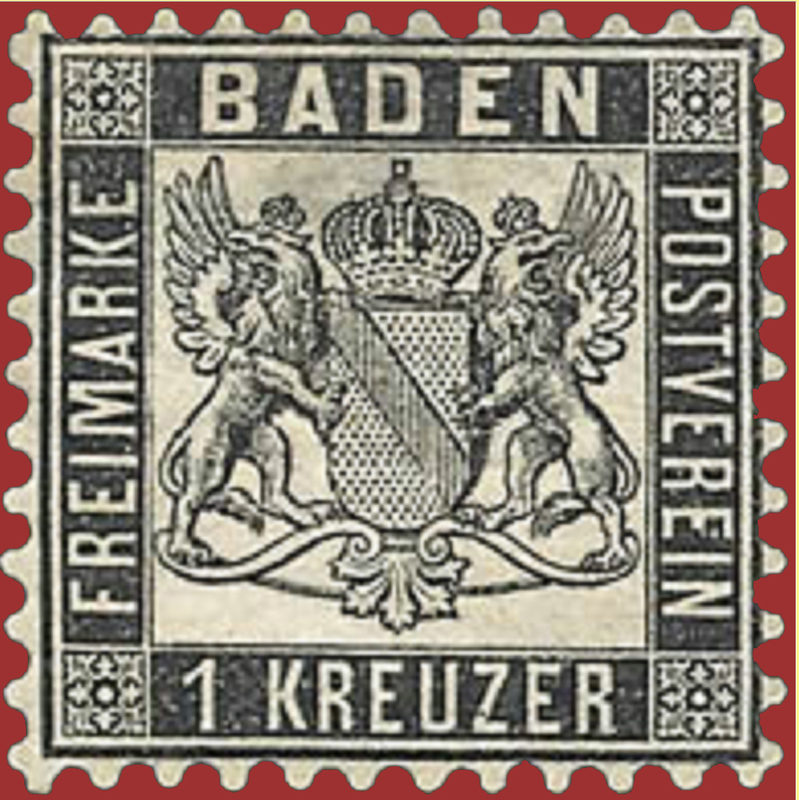 Here´s a stamp which has been expertised. Although very small, you can notice the examiners mark and catalogue information (such as watermark and catalogue number) in the bottom left-hand corners. That´s right. I also have two other stamps lying around somewhere which I will someday, send to the examiners. 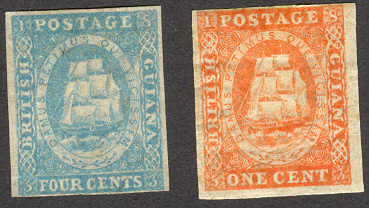 They are the 1853, 1 Cent and 4 Cents British Guiana postage stamps. 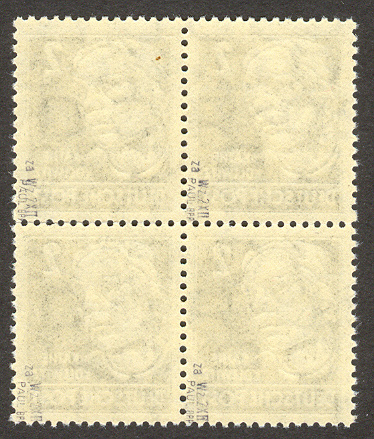 They are quite rare and I have a “feeling” that the 1 Cent stamp could be genuine. I´ll have to wait and see. Can I have a look at it daddy? Of course. Here they are. If these two stamps were real, would Mr Midnight´s food rations be increased? Possibly, although it does depend on if he´s a good boy and if I decide to sell them both. Let´s keep quiet about these two Sir Winston. We don´t want to stir false hopes for Mr Midnight do we. You don´t say. That´s really interesting Mr Midnight. I know. I thought the same. I only found out because of the chin-wag I had last night with Mr Dog. He told me that humans call it a “tradition” and I must admit, I do like sitting on the prickly bale of hay infront of Mr Dogs house, taking-in the odours of the edibles. By the way Sir Winston, Mr Dog didn´t exactly explain what this “tradition” thing is. However, thanks-giving does not only have symbolic character – humans are also supposed to be “thankful” for their “lot in life” and are expected to donate food to charitable causes. It´s the human way of saying “thank-you”. Donate food once a year? That´s a bit mean isn´t it. Are modern humans only thankful once a year? No, of course not. It´s just a way for them to show gratitude. We cats obviously do not need such festivities – probably because we live in the moment and are instinctively thankful for everyday. Tradition is a human thing Mr Midnight. It´s a passing of beliefs and customs from one generation to the next. Traditions are a regular occurence in the life of a human-being. I don´t think that you can call regular feeding habits a tradition Mr Midnight. Eating on a daily basis is more of a necessary routine than anything else. Traditions are more like a rock with which to find stability – something familiar which aids give security in an otherwise, uncertain world. Animals don´t need customs and traditions because when left to our own devices, we live in harmony with the universe. Tradition helps ward off fears, and as most of the animal kingdom are aware, the human race lives in a constant state of fear. It´s probably one of the reasons why traditions are so important for humans. Wow. Poor humans. They must be terrified. What stressful lives they lead. The other day I watched 5 people climb into one of those small, smelly moving things. A motor-car is the term I think. They all sat neatly, miserably squashed up together, and looked rather uncomfortable. Observed from the freedom and comfort of my place under the hedge, I thought to myself; it´s a shame how they coop up those humans. Modern humans evidently need to experience stressy lifestyles. It certainly looks that way. Humans are very perculiar and most of the time they appear slightly barmy, but it is the path most of them choose to experience. Modern humans also believe that they are open-minded. I´ve often heard this muttered among humans but I find it difficult to believe myself. I think the majority of modern human beings really do believe that they are open-minded. It´s just a shame that reality dictates a different picture. As a rule, humans will conveniently, disbelieve things that do not fit into the framework of what they have been lead to believe as to being the truth. Contradicting beliefs are often dismissed as humbug. Human open-mindedness doesn´t seem to stretch as far as for wanting to go with the flow of life and of accepting “change”. That´s quite convenient isn´t it. You shouldn´t eat daddy´s sweeties. If he catches you, you´ll cop it.! Let´s get back to the topic of conversation, I´m still a little puzzled as to why humans make such a fuss about traditions. Sending a can of maize to a church festival as a gesture of gratitude once a year, will not really change the world will it – apart from making one remember to be thankful that week. I´m totally baffled. Believing to be open-minded and at the same time, stuck in the times of the past. What other traditions or major beliefs do modern humans adhere to Sir Winston? They believe in their Gods and prophets, for example, Christians celebrate Christmas and Easter. Many human beings are incapable of stepping out of their conveniency and are thus, totally switched-off from their environment. To top it all – the majority are also of the strong belief that as you get older, you automatically become ill. But Mr Dog informed me that Easter most probably had Pagan roots and was a celebration of the spring equinox – you know, the fertility festival. hence the eggs and everything. He should know, he´s very knowledgeable about such things. As for me – I´ve no idea. Mr Dog also told me that a guy named Jesus was killed by occupying forces and then the next minute, he had managed to get out of bed a couple of days later. I think Mr Dog´s telling tall stories because I thought that Christian humans didn´t believe in “life-after-death”. Humans certainly have puzzling traditions – at least for cats to get to grips with. That´s exactly the point Mr Midnight; as I´ve mentioned so many times before – nobody really knows what happens. Many modern human beliefs are fabricated from what others had thought to have been the truth. The christmas festival is celebrated because of the birth of Jesus, bless him. He was obviously so popular with the crowds that those in power feared for their positions and had to have him removed – hence the Easter celebration. Not much difference to present day antics then. If someone has some positive influence upon society, he , or she, is often “removed” from their position. So humans do not believe in the powers of the universe and the importance of living in harmony? Usually, they dismiss thoughts of “other life sources and possibilities” and believe that money can solve our planets problems. They would much sooner support pharmaceutical companies in their search for freedom of pain and illness and most are of the belief that THEIR religion is the only true religion. So much for being open-minded. Actually, it is all rather pathetic. You see, if understood properly and not taken too seriously, traditions and customs can be very helpful and benefit a society. However, at the same time, they can also narrow perceptiveness towards other input. One remains stuck in the tracks of ones “programming”. If one was truly open-minded, one would need to constantly put an awful lot of time and effort into things – and that is something that most humans are evidently, not wanting to do. Well I´ve heard enough for today thank-you very much. I think I´m going to go downstairs to eat a food stick. This “tradition” stuff seems to have given me an appetite. I think I´ll take care of MY tradition and head-off into the cellar to see what I can find. Daddy usually arrrives home when the sun is at its highest. See you around Sir Winston. Be careful – your thoughts become your reality ! They crouched under the hedge and watched daddy unload the weekly groceries from his car. Because of the large, wire-framed shopping baskets, most of his purchases were visible to the preying eyes of Mr Midnight and Sir Winston. Mr Midnight noticed that some of the labels on the “goodies” were all too familiar. The labels were glued to tins of cat food of which he wasn´t too fond of. There´s no use getting excited and wanting to greet him Sir Winston. He´s been to that place again; you know, the place that sells that cheap cat-food. Can you see those red and yellow labelled tins in the corner on the right side of the shopping basket? They indicate that we´re in for a rough week Sir Winston. Look, he´s seen us. I suppose we should go and greet him, afterall, regardless of the circumstances, it is only good manners. Hi boys. Lunch will be ready shortly. I´ll call you when I´m ready. That´s odd. You´re usually famished Mr Midnight. Oh well, see you in a bit. Poor daddy, he doesn´t get it does he. You should show a little more gratitude Mr Midnight. Daddy must be under the general impression that you like the stuff in the red and yellow tins. 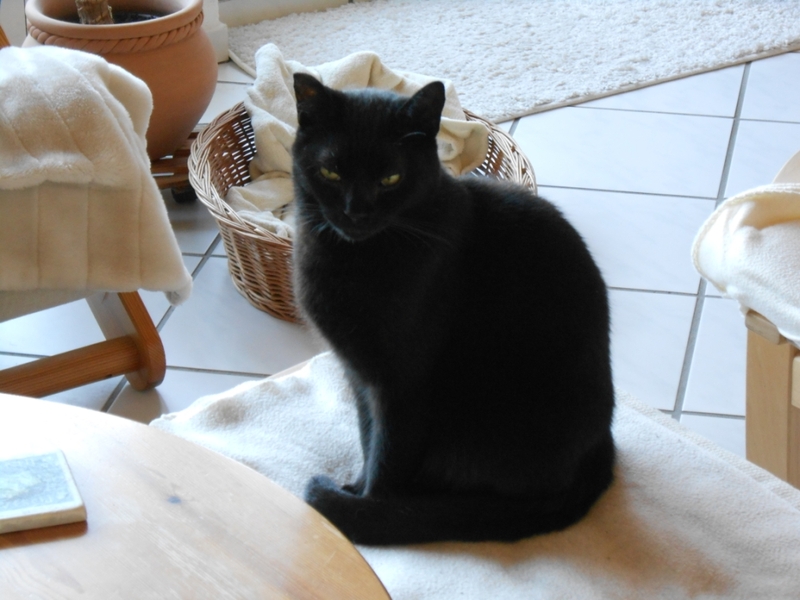 As for me – I´m not particularly fussy, but as you are aware, I´m not a gourmet like yourself Mr Midnight. I am very thankful for his deeds and my “lot in life”, afterall, there are many cats and other animals on our planet who aren´t allowed to live such cushy lifestyles as ourselves. It´s just that I knew he´d bring that stuff again. I must have given him the impression that I liked it. Well you do tend to wolf your food down don´t you. There may be some other reason for his purchases. Perhaps he´s simply got a cash-flow problem at the moment. A cash-flow problem is when a human has a shortage of those papery things with numbers printed upon them – right? Oh, they´re all totally obsessed with that stuff. They´re not piles of money Mr Midnight – they´re daddy´s piles of postage stamps. You can´t buy cat food with postage stamps. At least I don´t think you can. I believe you simply half-expected him to bring home that cheap cat food and – hey presto, you received what you wanted. It´s the old universe rule – what you desire, you shall receive. What´s that about pesto? Pesto´s a little rich for my delicate tummy. You might be right though Sir Winston – I do think I´ve got a touch of that bug which is going around the animal kingdom. You know, the “Human Syndrome” thing. I´ve heard about that. You´ve got to be very careful. If you contract “Human Syndrome” you start behaving just as the human´s do – your thoughts switch to “negative mode” and you attract all sorts of chaos. Just look at the human world. They´ve absolutely no idea have they. They used to be aware of the universe law of positive attracting positive and negative attracting negative but the majority seem to have now thrown this wisdom overboard. I suppose it goes hand in hand (or paw in paw) 🙂 with their obsessions for frequently wanting to play the victim. I just hope I haven´t clawght it. I don´t want to be as ill as the humans. “Human Syndrome” is very contageous. Once contracted, it´s very difficult to get rid of. Animals have a strong resistance towards it but even we are not totally immune. If humans could only grasp that their thoughts are so volatile. It´s a simple process really. Thoughts are generated, and by adding belief to those thoughts, one creates ones surroundings. There´s nothing else to it. It´s very basic stuff. Although obviously difficult for most humans too understand, the surroundings in which we may find ourselves at present are the result of our past thoughts, and our actions from those thoughts. If only human-beings understood that the “individual” is the creator of their own world, with nobody else playing a part in the creation of an individuals life.
. . . . . and that is why humans are responsible for their present situations? Well there is more to it than that Mr Midnight, such as the complications of inherited illnesses, having to live under a diabolical regime or whatever, but in a roundabout way, that is the essence of life. One of the main lessons of life is that of trying to focus on positive outcome with which to create positive outcome. “Human Syndrome” has the opposite effect – people focus on negativity and then they wonder why their lives go haywire and become full of misery. Can you give a few examples Sir Winston? There are too many to mention, but I´ll list a few for you. For example; humans believe that life is hard, that money doesn´t grow on trees and that if you want to achieve something anything in life, you have to work hard for it. They believe that as the body gets older, they become ill. In fact, they seem to love wallowing in their illnesses. Humans live in a constant state of fear – fear of losing their job, fear of the immigrant from foreign shores, and are seemingly frightened of discovering their own truths and true self. The human fear mania then often leads to humans projecting negativity into their present lives. Areas of trivial, human negativity, could be hoping that it doesn´t rain; hoping the train will arrive punctually; hoping one finds a parking space or hoping that one will not have to sit in a traffic jam on the way to work. I sometimes even believe that humans turn on their negative beliefs with which to make sure that they do not become too happy. If humans lived satisfying lifestyles, free of negative belief, and simply believed that there was always a purpose to negative occurences and that things would eventually, always turn out for the better, then they simply wouldn´t believe it was happening! Daddy is also no expert but the other day, he told me a nice, little story. He was on the last stretch of his long 15 km jog and was jogging alongside the local branchline of a railway. He was getting quite tired, and it is in times such as these that he has often commented that he is often aware of a different “frame of mind”. He jogged up a steep gradient, which used to be part of the “old line”, and upon reaching its summit, he imagined how nice it would be if an old steam train, billowing thick smoke, would rattle on by – just like in times past. Can you imagine what happened? Ten minutes later, he was still jogging alongside the railway on the final straight before finishing – but what did he then hear? What did he see? That´s right. A steam train (whatever that is) 🙂 accompanied by four carriages came trundling by with steam billowing on all sides. What a sight! How remarkable. In all the years he´s lived in our village, he´s never seen a steam train come plouging through our village. Coincidence? I hardly think so. For a split second, he was totally switched into the universe. All things are possible. In his minds eye, he had already pictured the scene. Purrhaps one should really, just expect the best in life to happen. 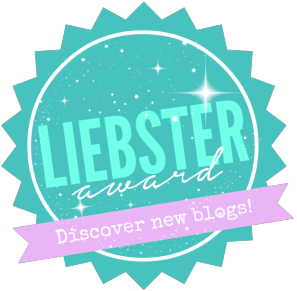 If you believe in it – it will happen!